recitations of realized saints like Kabir, Namdev, Ravidas etc. Meaning: The whole world is desirous of attaining the state of sahaj. According to Nanak,the whole world consists of three types of people. is beyond these three gunas or becomes Guna teet. (1) ‘Seva’ – the selfless service to mankind. ( 2.) Through’Bhakti’ i.e. through kirtan /dwelling upon his virtues. but doesn’t reach there in case of non realized ones. JA KE SAHAJ MAN BHAYA ANAND, TA KAO BHETIYA PARMANAND..
listen to the anhat naad. willing to sacrifice his own life for such a person. combination of Bhakti and Shakti. me ,therefore I was able to complete this granth. primordial mother(KALKA) . Aaradhi means worshipping a female deity. and is part and parcel of Sikh’s everyday ritual. true guru , and then seek the assistance and blessings of Bhagwati. The verse of shree Bhagwati and the ten true gurus. the blessings of Bhagwati everyday. manner, and can aptly be described as Sahajayoga. state of mind, to lead a peaceful, happy and joyous life. Wonderful post!!! I always wonder how you are able to grasp such excellent topics and give it to us in such a presentable way. I am too impressed. Recently Axinia mentioned that Sufism is also full of Sahaj principles and now that i realized Sikhism also is a form of Sahaja Yoga in principle and i feel sikhs are more close to GOD and REality even if they are not realized. Guru Nanak ji has recognized our Beloved Mother and adressed Her Bhagawati much before the advent. This is fantastic. Just to clarify, in Sikhism there are two types of Ardas, one is a personal one, which we all do everyday, when we ask vaheguru for something. 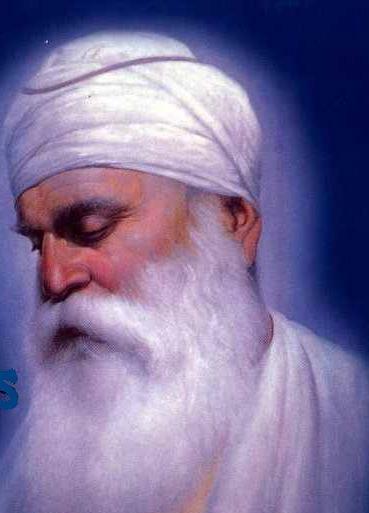 The other which this article is refering to is a congregational ardas, which was not created by Sri Guru Nanak Dev Ji Maharaaj, this ardas which the article creator is refering to is was created in the 18th century by Sikh scholars. Parts have been taken from Sri Guru Granth Sahib Ji and Parts from Sri Dasam Granth Sahib Ji, namely the Bachitar Natak in Dasam Granth. The Dasam Granth was written by Sri Guru Gobind Singh Ji Maharaaj, the 10th form of Nanak. Bhagauti refers to a Sword and not a goddess. Whoever wrote this has absolutely no idea what Sikhism is about. The Sikhs knowingly ask for protection from Vaheguru and not a mother or a goddess. This is not an attack, just clarifying what is the Truth and what is not. Bhagauti means Divine Power or ‘Divine Sword’. To compare Bhagauti with simple sword is hilarious. Hilarious are those who manipulate Gurbani to promote themselves. The Truth is still the Truth, doesn’t matter which way you twist it. Your article is incorrect, which is the Truth, a Fact. Looks like that you want to understand GOD only from one book. Again “Peter”, you are wrong, stop relying on the lies of your Nirmala Devi. The links you are presenting are old news to me. You cannot twist the Truth. What you are calling a mere book, due to your lack of understanding which has been clouded by Nirmala “properganda machine” Devi, is in fact The eternal Guru of the Sikhs. It doesn’t matter what you say, the Truth is and shall be that you are being fed lies. Words of advice, don’t take other lines from sciptures you don’t understand, manipulate, pervert them to suit your own end and not expect a reply. Again I say, you have been exposed, so do the right thing, and take this article down. But if I know you Peter a blind sheep……………………Not your fault, its your Guru. This is expected when your teacher takes lines from other faiths, changes them to promote herself and then says “oh and don’t believe them if they say its wrong, cos I am like all that innit”. I maintain again, the TRUTH is still the TRUTH, no matter how much you hide it. May the dynamic power of God help us. I have exposed you so you can do two things. 1. Take this artcle, amend it and put it back up and show some RESPECT. 2. or continue to disrespect the scriptures of another faith (which you have no idea about) and leave it here. Giving me a link to the Sikh Congregational Aardas is not helping your failing cause. The Truth is still the Truth, you will loose and die, yet the Truth shall remain. I have nothing further to say on this “Peter”, you have two choices, you can be a man or be a sheep and follow Nirmala. I didn’t know that Sikhs are so aggressive. Your religious fanaticism is really unbelievable. I can’t believe that Guru Nanak has preached all this. But when evil individuals such as yourself and Nirmala are preaching their own made up perverse philosophy distorting scriptures of another faith, modifying it, twisting it to promote yourself, well with people like you a touch of aggression is necessary to bring you back to reality to face the truth. Making one liner generalisations will not hide your perverted act. You have sinned and you shall pay, one way or another you shall pay, you can’t hide behind a computer all your life, your Sins will catch up with you. Better start praying for forgiveness, now! But its not your fault Peter, I blame it on upbringing, social environments, weak mind, sheep mentality, its not your fault. After all, you are just a repeater; somebody else is doing the thinking for you. So, you carry on with your work and I shall with mine, but remember this, you cannot twist the truth, eventually you will learn the errors of your way and then you will realise its too late. Now you can smile and return to that “smug” look. Mahal kumhal na jāṇnī mūrakẖ apṇai su▫ā▫e. The fools do not know the difference between good and bad; they are deceived by their self-interests. Anḏẖe aklī bāhre mūrakẖ anḏẖ gi▫ān. Mūrakẖ āp gaṇā▫iḏe mar jamėh ho▫e kẖu▫ār. The fools take pride in themselves, and are ruined in birth and death. This is my last post, I have said what I wanted, the rest I leave with Ishvaar. I don’t think that Guru Nanak will be proud from your behavior. So far this is my impression from your words and attitude. If Bhaauti is Durga how can she take a durga in her hand. Your article is wrong and is an insult to sikhs. Sikhs only believe in formless God and not any deity. No body compared Durga with sword. In dasam granth sword is a symbol of shakti of God. That is why Guru ji salutes sword. Durga is just a creation of God like you and me. Shri Durga is not just like you and me. You and me are creation of God. So is durga a creation of God. That is sikh view. hindu view wqill be different. First and foremost , remember the Bhagwati and then Nanak and the other gurus thereafter. How one sword can be put before Guru Nanak. Bhagwati is the Divine Mother. Bhagauti is not Bhagwat. Durga has been given 108 names in Markandey puranas. But Bhagauti is not the name given to Durga. Per hindu mythology Durga was created by three Hindu demi gods by focusing light on Parvati. But sikhism says that it was God who created her. Dear , Bhagauti does not refers to Bhagwati goddess . If he wished to worship Goddess and ask his Sikhs to worship same , then why would he write “Ek Onkar ( one god )” in beginning of Guru Granth Sahib and other so many places in Guru Granth Sahib. Bhagauti means “Shakti” ( energy ) since God is not matter , God is energy . You are totally incorrect, Surabjit has made the point clear and you should apologise for your mistake. I think we should not compare Gods, He’s a Single divine with many forms. Well all is upto you how you treat HIM ..
Naam and Sahaj are both experiences that happen when a devotee/Sikh learns meditation. There is another discussion of this topic that has linked to this discussion. when we all are the children of the same power, we should only be loving each other.. everything else is irrelevant i feel..
“Obeisance, Obeisance to Him, the Primal, the Immaculate, without beginning, without end, Constant through all ages. The One Mother existed alone in some mysterious way and She created the Universe and three Deities. One was the Creator, One the Sustainer, and one the Destroyer. why is the primal then translated as he? The Earth sustains us in space with great love and understanding. The Sun shines to give us life, and goes at night to the other side of the world to let us sleep. She has organised such a beautiful stage with great compassion for Her children to enjoy. She pulsates in the heart with great love to bring us in life and joy. She has blessed us with the air to breathe and live, the light to see, the ether to communicate and express and water to cleanse and sustain. She brings us in peace and tranquillity through the miraculous waves of quantum energy to assimilate with the musical melody of Her creation to soar from finite to infinite in the ocean of freedom, peace and joy. What a wonder She knows and cares for everyone and nobody knows Her? Thanku very much for sharing…. Mr. Peter you have misunderstood the word “Bhagauti”, as it’s not deity bhagawati, “Bhagauti”, means the supreme nirgun(non-form) God principle, who is Allah, Vaheguru,Om. Even Vedas describe him as “neti-neti”(not this),means nirgun Brahman. Sikhism doesn’t worship any deity ,though all deities are sagun form of same God, but each deity performing own functions in the universe (creation, sustainance and dissolution) and nirgun Brahman being creator of all absorbed in Sat(truth), Chit(consciousness) and Anand(Bliss) observes everything as his Lila( Same as a Manager and CEO of a company). Hope this helps. hmmm…from my understanding, brahman is actually sargun…ie with qualities of love n compassion from which the denser form or more material forms came from. braham is not neti neti. before braham, (bhagauti or the dynamic principle as sm prefer to call her) was nirgun or stillness or Ek. constantly performs the service of the Supreme Lord God. He dedicates his mind and body to the Love of God. Bhagaauti practices self-discipline, the Yogi speaks of liberation, and the ascetic is absorbed in asceticism.